For the Mornington Peninsula and surrounding suburbs. 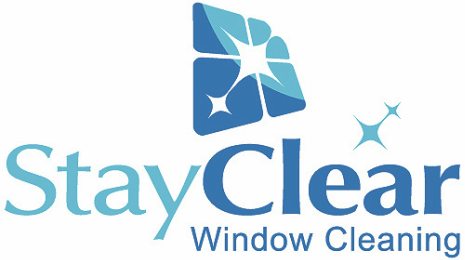 ​Reliable, friendly and affordable residential window cleaner specialist serving the Mornington Peninsula. Call 0429 440 380 to get your windows sparkling again. We will show respect to both you and your property, and can guarantee that you will be more than satisfied with the finished service we provide. Whether your looking for a one off clean or looking to establish a regular cleaning schedule, we can get your home or business looking its absolute best! We are a well established, local family-based business. We clean one, two and three storey homes and businesses across the Mornington Peninsula. We use both the latest Pure Water Fed Pole technology and traditional squeegee window cleaning methods so we're fully equipped and highly experienced to handle most situations. Fully insured and police checked for your absolute peace of mind. Call or sms us now: 0429 440 380. Let us do all the hard work for you and deliver amazing results whilst giving you time to do the things that are more important to you. Spotless windows add the finishing touch to a clean home and also allows more natural light to enter the property. ​Each customers and their requirements are unique and for that reason, we offer cleans on different frequencies. The majority of our regular customers use our services every two, three or six month frequencies, although we can adapt and provide our services on different frequencies if necessary. Were all about providing you a premium and reliable window cleaning service which suits your unique requirements at a competitive price. ​Call or sms us now: 0429 440 380. We service the entire Mornington Peninsula. Arthurs Seat, Balnarring, Balnarring Beach, Baxter, Bittern, Blairgowrie, Boneo, Cape Schanck, Crib Point, Dromana, Fingal, Flinders, Frankston, Hastings, McCrae, Main Ridge, Martha Cove Merricks, Merricks Beach, Merricks North, Moorooduc, Mornington, Mount Eliza, Mount Martha, Pearcedale, Point Leo, Portsea, Red Hill, Rosebud, Rosebud West, Rye, Safety Beach, Seaford, Shoreham, Somers, Somerville, Sorrento, St Andrews Beach, Tootgarook, Tuerong, Tyabb. Rest assured, our prices are always competitive. We are flexible and honest and there are no hidden charges. We do our very best to arrive on time and if for some reason we are running late we will let you know. We are happy to give FREE no obligation quotes to residential homes and businesses on the Mornington peninsula and surrounding suburbs. ​For a small additional charge we can also wash your fly screens thoroughly clean before refitting them to your newly cleaned windows ensuring the very best possible results and view from your clean. ​Please be sure to advise us if you'd like fly screen cleaning to be included in your quote prior to commencement of work. We also offer solar panel cleaning on single storey homes. ​Please click on the link below to find out more. Let us get your home looking amazing again with clear, spotless, sparkling and shining windows. We clean low-rise commercial properties. What do your windows say about your business? Dirt, dust and other particles accumulate on your Solar Panels reducing their efficiency.